Gale Gordon is probably best known as Lucille Ball's banker but he had a long and varied career long before Mr. Mooney came along. He also had a rich and full life outside of Hollywood as an artist, farmer and craftsman. Gordon began his acting career in 1923 as an extra in The Dancers shortly after returning from school in England. It was during this time that Gordon developed his distinctive voice, a voice that served him well throughout his career. Though he was a busy actor, he found time to have a life away from Hollywood. Along with his wife, Virginia, he lived on a 150 acre farm in Borrego Springs, CA. It was not just a place to live, it was a working farm though you may be surprised to find out what he was farming. Old Time Radio has an extensive collection of radio shows featuring Gale Gordon. Titles include memorable shows like, Flash Gordon, My Favorite Husband, and Our Miss Brooks. 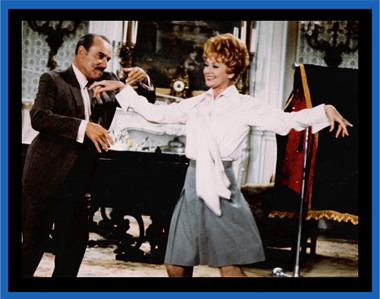 Listen to a sample show and enjoy Gale Gordon's acting genius.